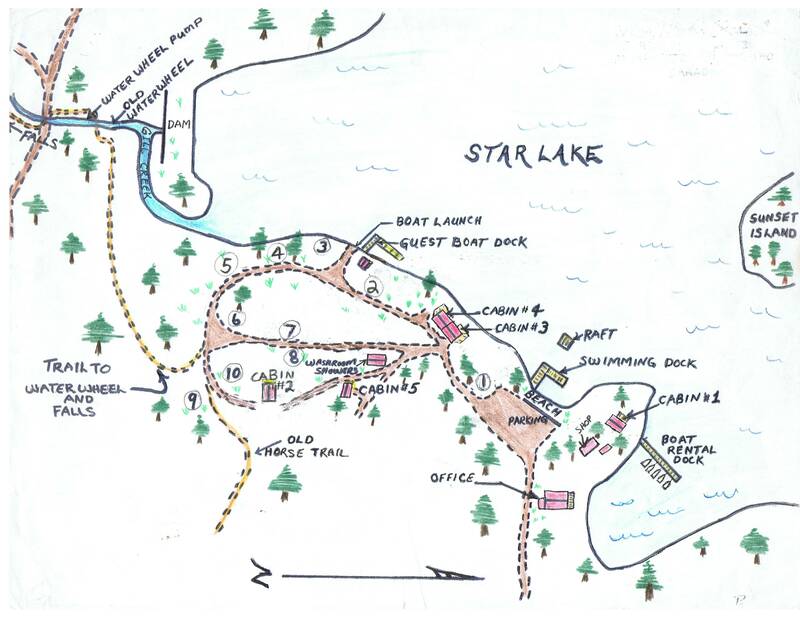 Star Lake Fishing Resort in beautiful BC, offering great fly fishing for Kamloops Rainbow Trout, housekeeping cabins, campsites, and boat rentals. Our location map was hand drawn, and does not show different elevations. Cabin #5 and Cabin #2 sit on the top tier, overlooking the resort with a magnificent view of Star Lake.